Dynamics of price changes on real estate in Moscow: how to track and buy real estate profitable? Do you interested in dynamics of price changes in the capital? Monitoring of price takes a lot of time. How to know about price drop on real estate and don’t spend a lot of time? Decision is existed! Install free application http://otsledit.net in your browser and track the prices for all flats at the same time. The program will track changes in prices and notify you about it immediately. Be the first to buy liked accomodation with low price! Review how to install expansion correctly and look over all its opportunities. You need to settle the browser expansion at first, it can be Google Chrome, Firefox, Opera and Yandex in several clicks. Go to http://otsledit.net/ and push “Settle expansion”. Click the button “Install” and confirm it. At toolbar you will see special icon. You don’t need to go to each site to know about price drop on real estate in Moscow and area. Expansion will monitor necessary information by itself and will notify you when price will change. There is opportunity to track one and more options on web page. But you can use other accustomed resources. 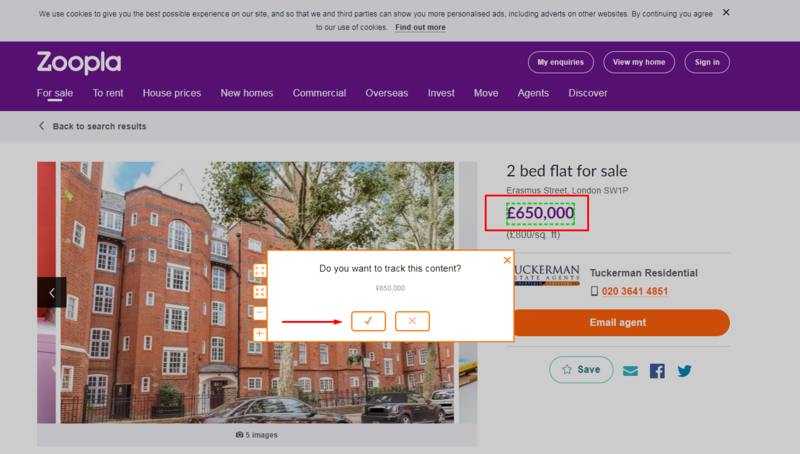 So, for tracking price changes on real estate you may create a track, which you will name by yourself, use filters and settings. We will show how to do it on example of one site. Open the page of site for monitoring of price changes on real estate in Moscow. At toolbar of your browser push the button Otsledit, confirm the creation of new track, choose the content on page, which you will track and highlight it. It is the cost of flat in our case. Confirm that you want to track selected content and go to list of tracks. So, you can create a large number of tracks, select interesting offers in sale of real estate on site. Now you don’t need to spend a lot of time to check price drops on flats - expansion will do it for you. And special filters and settings will help to use it with comfort. Individual settings can be used for each created track. Now, we will review main opportunities. 1. You can give own name to each track in special window, and top slider will help to correct the setup of notification with necessary interval of time in background and through the tab - from several minutes till several hours. 2. Expansion provides individual filters of each track. Here you can put filters on words and phrases in selected content, decrease or increase of numbers (numerals), comparing up or down. 3. You can turn on or turn off the monitoring and setting of notifications with help of tool groups on the panel of each track. Also you can run the mode of auto tracking and check data through the tab, show the difference in tracking prices, clean the history or delite irrelevant track. 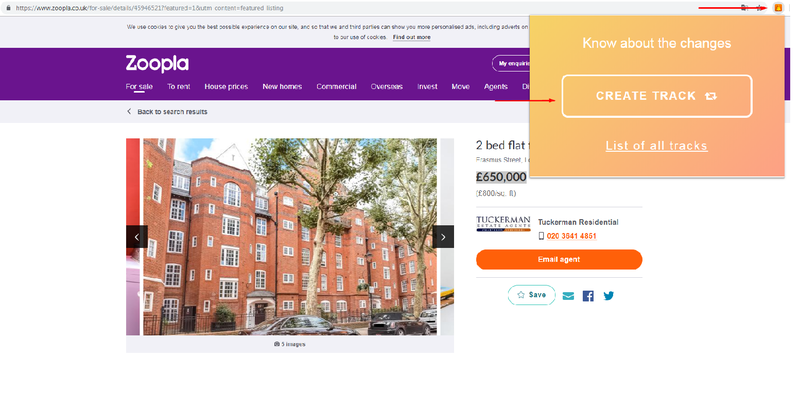 Such free and comfortable expansion, which doesn’t need a registration will help you to know first about price drop and buy the flat cheaper and don’t spend time on monitoring “ manually”. Besides, it is comfortable to track not only prices on real estate with this expansion, but also exchange rates, balances, any statistics, hot tours, numbers of subscribers, reviews, views, dynamics of ratings and other information.